These are my best tools, or “add-ons” I use when working with Google Analytics and Google Tag Manager. They focus on helping you get you get on top of and maintaining your data quality. I use all of them regularly (listed in no specific order). Updated Feb-2019. The first three are official from Google and offer reliable, if basic, functionality. Allows you to verify you have installed tracking tags correctly on your pages (not just GA). Helps you troubleshoot the Google Analytics Tracking Code (GATC), Google Tag Manager (GTM), and Adwords Conversion Tracking. Official from Google. Inserts analytics_debug.js (or ga_debug.js) for you when you load any page containing a GATC in the Chrome browser. You can then view very useful information in the browser console. Includes error messages and warnings about your tracking code implementation and a detailed breakdown of each tracking beacon/variable sent to Google Analytics. Official from Google. Overlays GA report data directly over a page loaded in your browser. Includes date range comparison and segmentation tools. Official from Google. A Google Analytics audit tool taking a systematic and forensic approach to data quality and governance. Note, this is my own development based on the methods I describe in the book Successful Analytics. Verified Data automates the audit process, acting as an early protection system – finding issues, such as GDPR problems, bad or missing data etc., so you can fix them before they become serious. Launched in 2018, it is now a separate venture with its own dedicated team. This tool brings a lot of small enhancements together in one place – and it does them really, really well. Making the whole so much greater than the sum of its parts. Developed by a trusted expert – Stephane Hamel. 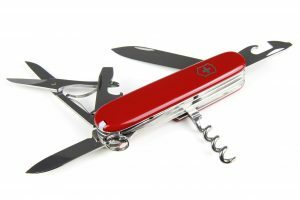 This is my indispensable Google Tag Manager and Google Analytics debugging tool – particularly for enhanced e-commerce implementations. It works by examining the actual data hit sent to GA, not just the variables Developed by a trusted expert – David Vallejo. I have used this excellent “data grabber” from day one – almost 10 years – and it keeps getting better. Originally designed in order to pull data from a variety of sources (e.g. GA, YouTube, Facebook, Twitter etc. ), into Excel or a Google spreadsheet so that you can calculate and mashup as you wish. Now its also a major force in connecting such data sources directly with Data Studio. Developed by Michael Thuneberg. Google already has a useful URL web page for building campaigns, but its a little cumbersome to use. This browser extension adds some very nice user friendly features such as: Loading the current web address automatically; Create and manage pre-configured sets of tags i.e. a template campaign url; Choose a template campaign as your default – great for fast editing of multiple landing page urls. If you are using Google Tag Manager (if not, why not? ), this is a very powerful tool. 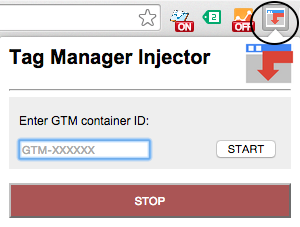 It allows you to inject your own GTM container snippet onto a page. Why do this? So you can build your own complete test environment within GTM and then “deploy” it onto a site via your browser. That is, its a GTM install specific to you. Very powerful for creating/testing a setup before a real deployment. Developed by Chris Berger. Thanks to my friend and colleague David Vallejo for letting me know about this one. As simple as the name suggests, straightforward to use and a huge time saver. This completely replaces the use of GTM’s export/import function which is a PITA if you just wish to copy a handful of items. By measureschool. Regular expressions (regex) are used to match patterns within text. In Google Analytics, regular expressions are used for filtering—for both filtering within a report (table filter) and for creating separate report sets (View filters); For defining advanced segments; For configuring goal conversions and funnel steps. In other words, regular expressions are important! These are not really about data quality and are a little more experimental – by that I mean I do not use these every day, but I have experimented with them and I am happy to recommend others to do so. A good visualisation allows you to spot data quality issues. Table Booster turbo charges the stale data grid of Google Analytics with some very useful visualisation aides. Developed by e-dialog. An innovative approach data science without coding, by using a visual interface for R. Enterprise stuff indeed, but comes with a free trial. For experienced data users. Presented at Superweek 2019. A bit of Google Analytics data science in R. A great tutorial with all code example available on github – from a trusted expert Tim Wilson. For experienced data users. Presented at Superweek 2019. Google Analytics maintains an App Gallery of third-party-developed add-ons that extend Google Analytics functionality. Thanks a lot for sharing this amazing list Brian! Hey Brian – the other tool that I think should be on here is Simo’s GTMTools.com. Like Julian Jueneman’s/Measureschool’s “GTM Copy and Paste”, I like the GTMTools for copying tags, triggers, and/or variables from container to container. GTMtools also has a library feature, which I use to store some of my commonly used setups so I can then easily import when I take over a container, for example. I will definitely take a look in the next few weeks. Brian – I couldn’t live without the Analytics Pro dataLayer Inspector+ chrome extension. Super helpful for GTM/GA debugging. It would be my desert island pick. Is there a way to perform z-test in the actual version of GA. Cannot find the z-test button in my GA as it appears in the image that you posted. Let me also add Google Analytics Easy Explorer (by Kueri). A Chrome Extension which brings the power of Natural Language right into the Google Analytics. Do you know an alternative for the Firefox addon “Annotations Manager”. This script didn’t work for me on Universal Analytics. @Dragos – the type of GATC install should not effect plugins, so maybe the issue is something else. What does the plugin developer say? Great post! I can’t seem to get the Table Booster working though. I added it to my chrome extensions and have set it to be “always visible”. Is the chrome extension icon supposed to appear on the browser or is it one of those extensions that just runs in the background? What did you do to make it work? Let me know. Also, I think you should have included some reporting options. My favorite is my company’s (no surprise) tool: https://megalytic.com – Megalytic. Megalytic is the top choice for agencies that need to put out monthly reports to their clients. Thank you for including my injector extension in the mix, big fan! I’ve now updated the extension with a hostname filter (exact and regex match). Expressions and hostnames are also now retained when TMI is deactivated to avoid the need to re-enter them. 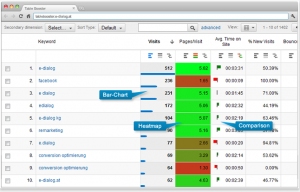 Have you by chance reviewed http://www.analytics-toolkit.com – we have a neat collection of tools for GA Pros. You can probably feature us in a future post about GA Tools if you like our toolkit? Let me know if you want an extended trial for your review, I’d be happy to provide it. I feel so dumb 🙂 Yes, that’s true, it would allow me to start working a day or two in advance instead of waiting for the client to place the code… Thanks! Often I need to wait a lot longer than that… A common scenario is a new website build or redesign that can take several months to be completed. Our request for the GTM snippet to be added is usually left until last – just before launch (and sometimes forgotten about!). This plugin allows us to test progress whenever we want so be able to turn around the install almost the same day the GTM is officially added. Thanks for mentioning my URL builder extension (#9). New and improved version is on the way! Good list, Brian! I’d also recommend trying out TagInspector.com for those interested in automated testing for GA/GTM and any other marketing and analytics tags. I’m definitely biased since my company created the product, but it’s definitely helpful for my consultant role because I don’t have time to check 100’s or 1000’s of pages for GA/GTM/AdWords tags, etc. Looking forward to meeting you at Analytics That Excite 2015! I have myself used Tag Manager Injector, but prefer to use a local proxy tool like Charles or Fiddler. All though TMI works nicely, I value that the two suggested tools are browser-agnostic and let’s me change all sorts of stuff on the pages I work on, besides injecting TMS scripts. The fact that I, also browser-agnosticly, can see all requests to – and from the pages I work on, is a very big added bonus. I know this is a matter of taste, but now you have my take on the matter.